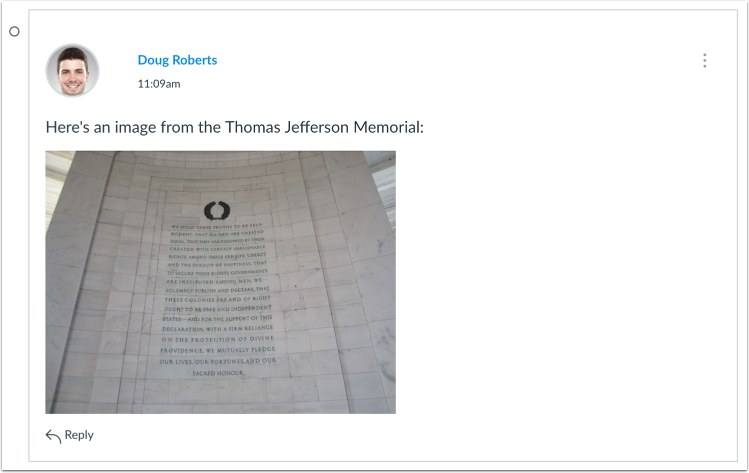 You can insert an image file directly into discussion replies using the image icon. 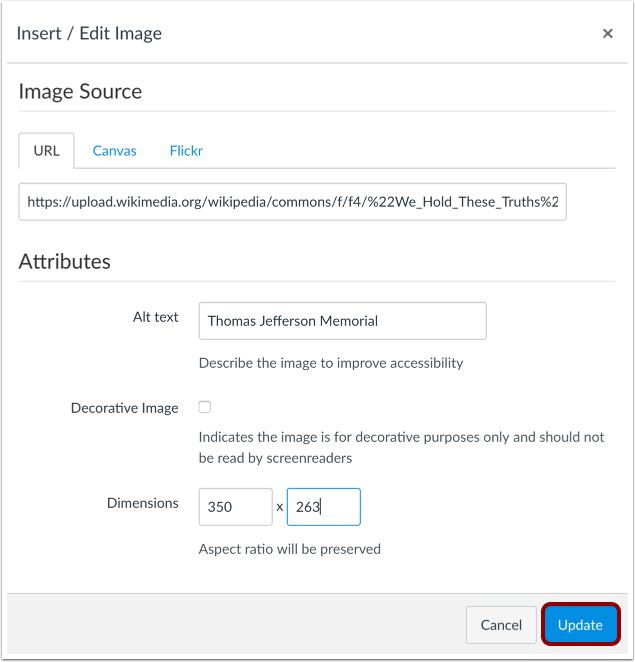 You can embed an image from a website URL, upload and embed an image from your Canvas files, or an embed image from Flickr. If a change is made to the source of your image after you have embedded it in a discussion reply, the image added to your discussion reply will not be changed. 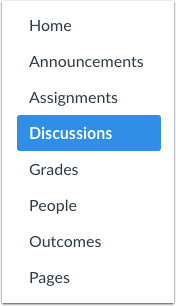 Create a new discussion entry by clicking the Reply text field. Locate the image you want to embed. 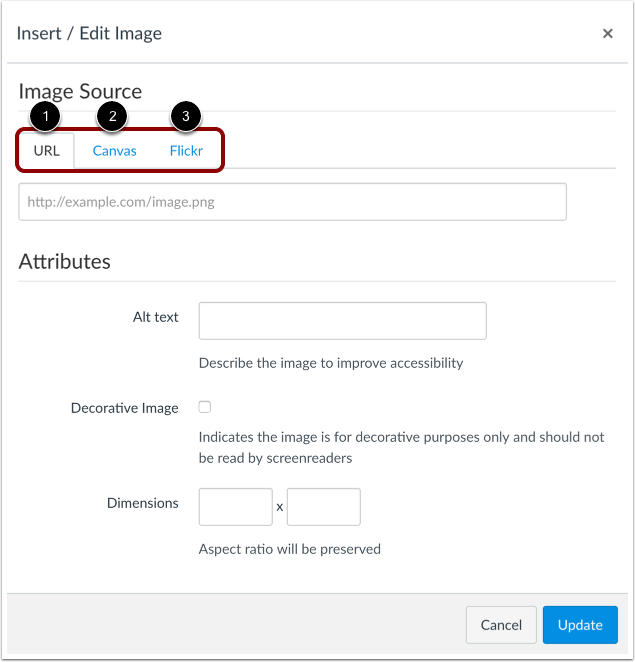 You can choose an image from a website URL , an image from your Canvas files , or an image from Flickr . If you need help with one of the three image options, please reference the chapter on the Rich Content Editor. When you have located the image, click the Update button. 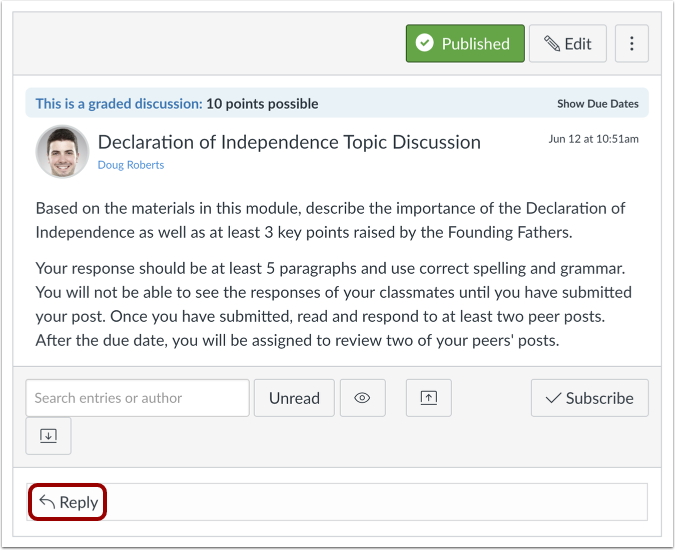 Previous Topic:How do I edit or delete student discussion replies in a course? Next Topic:How do I attach a file to a discussion reply as an instructor? 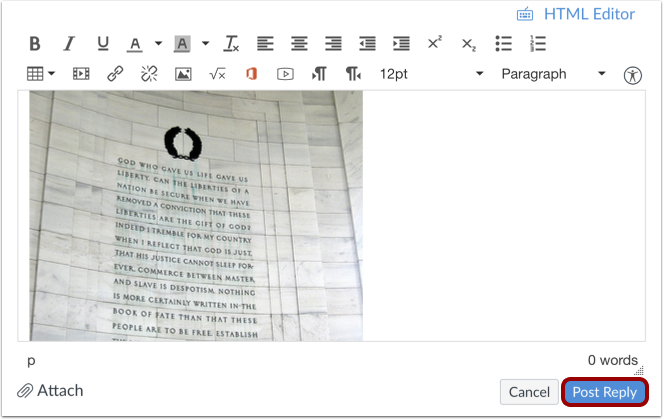 Table of Contents > Discussions > How do I embed an image in a discussion reply as an instructor? Re: How do I enter a picture in a discussion reply?